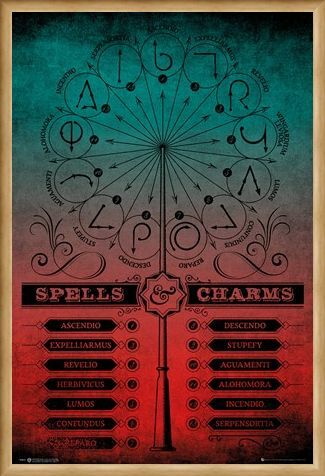 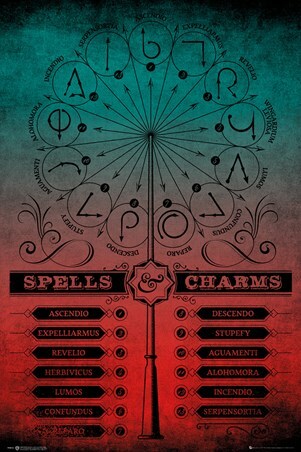 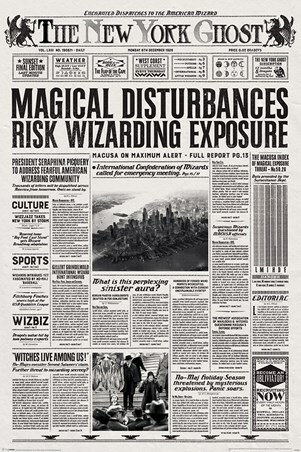 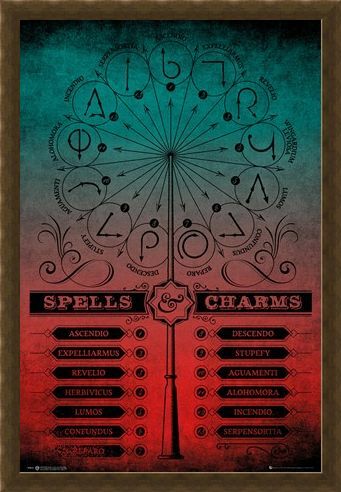 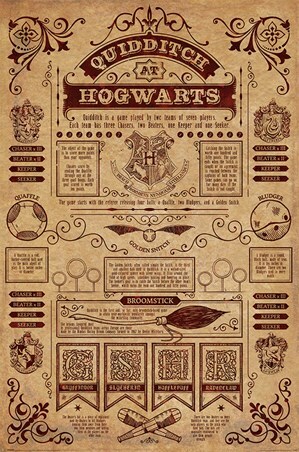 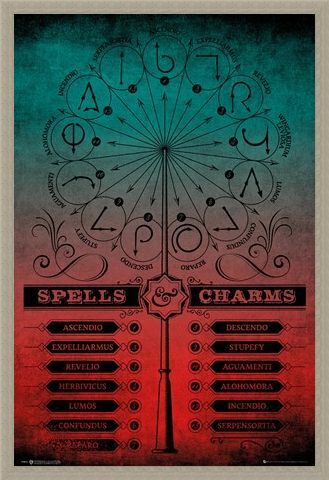 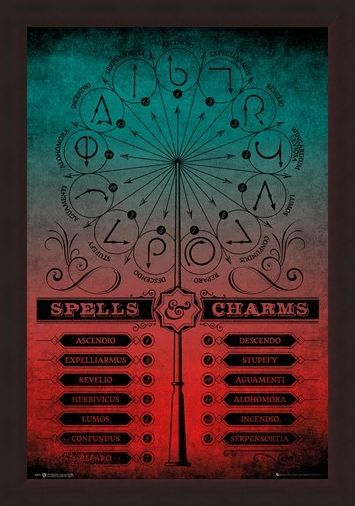 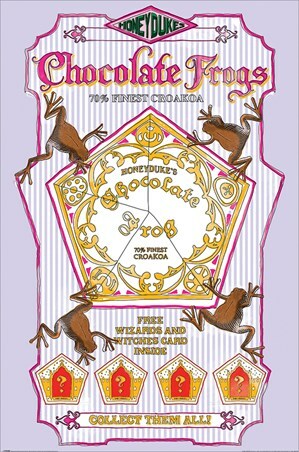 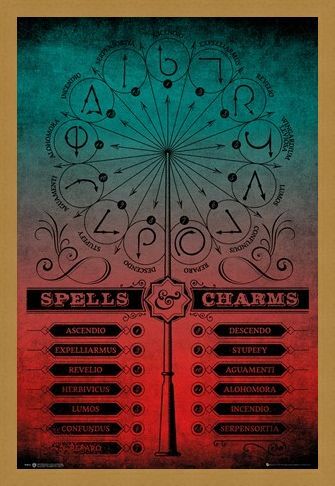 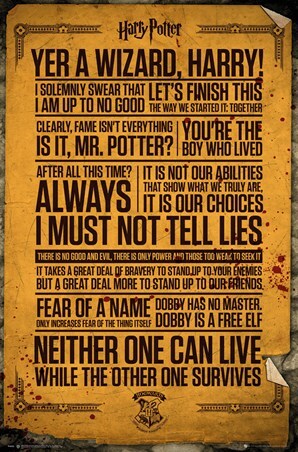 Practice incantations to your hearts content, with this magical poster from Harry Potter, featuring a plethora of spells and charms seen in the films such as 'Stupefy', 'Wingardium Leviosa' and 'Aguamenti'. Along with instructions on how to hold and wave your wand in the correct manner, you'll be a fully qualified witch or wizard in no time! 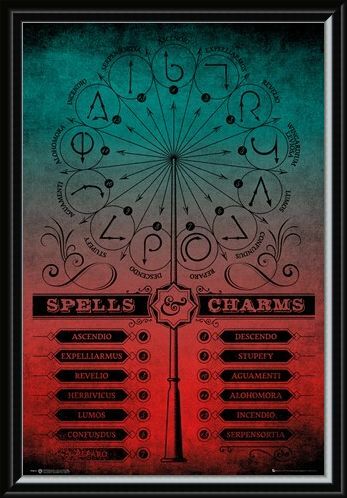 Just no under-age magic please. 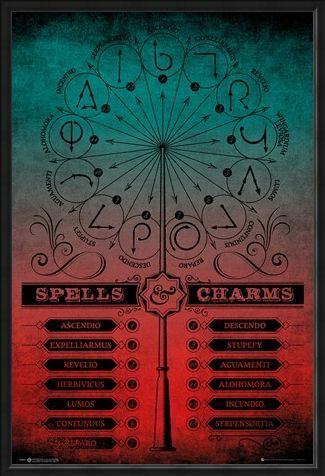 High quality, framed Spells And Charms, Harry Potter poster with a bespoke frame by our custom framing service.